Pristine St.Augustine Model Available Now For The Most Discriminate Buyer. Much Sought After 2/2 With Den Offers Screened Entry, Screened Garage, & Decorative Driveway Welcoming You To The Tiled Living, Granite in Kitchen & Bath and So Much More... Popular Gated Community With Many Activities Has Something For All Interests. 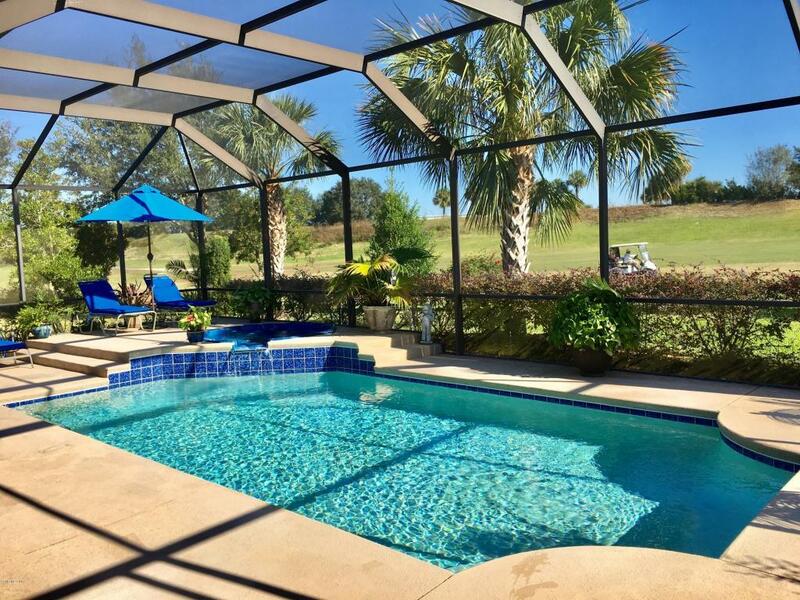 Pool/HotTub Overlooks An Expansive Golf Course View With Upgraded Landscaping Galore. LOW HOA COVERS MORE FOR LESS! SummerGlen Lot 553.